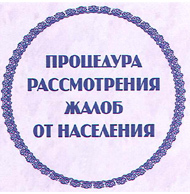 [The Sakhalin Indigenous Minorities Development Plan] is compliant with the [World Bank] Operational Directive 4.20 and consistent with the best international practices. AEA international consulting company, independent consultant of creditors of the Second Phase of Sakhalin 2 Project. The Indigenous peoples who live in Sakhalin number 4,000 or 0.7% of the total population. They belong to four main ethnic groups: the Nivkh, the Uilta (Orok), the Evenki, and the Nanai. The Nivkh: The Nivkh are the most numerous of Sakhalin’s recognised Indigenous Minorities (at present numbering 2,682 people and representing three-quarters of the Island’s total indigenous population) and, along with the no longer resident Ainu community , are the original human inhabitants of the Island. Today almost two-thirds of the Nivkh are concentrated in two settlements: in the village of Nekrasovka in Okha District and in Nogliki, the administrative centre of Nogliki District. Fishing and hunting were the main traditional occupations of the Nivkh, but by the 1980s the majority were living in small urban settlements. Today very few practice hunting, but many still fish for subsistence and in small-scale fishing enterprises. Poor health, lack of education and unemployment pose significant community challenges to the Nivkh, as they do to other indigenous groups. The Uilta: Prior to the Soviet period, the Uilta (also known as the Orok or Orochen) had a varied subsistence economy of hunting, fishing and reindeer herding. This changed early in the 20th century as authorities selected reindeer herding to become the primary subsistence activity. Now one of the smallest groups of Indigenous Peoples in the Russian Federation, the Uilta currently number 362 and are concentrated in the village of Val and also live in the towns of Nogliki and Poronaisk. The Evenki: The Evenki of Sakhalin are a small branch (numbering 326) of the Evenki (also known as Tungus) who are also found in Siberia, Mongolia and China. They arrived in Sakhalin at the end of the 19th century and have been closely associated with the Uilta, with many engaged in reindeer herding. Most are now to be found in the Alexandrovsk-Sakhalinsky, Nogliki and Okha districts of Sakhalin. The Nanai: The Nanai of Sakhalin, like the Evenki, are also a small offshoot of mainland cousins, some families having migrated to Sakhalin in the wake of World War II. Poronaisk District is home to the majority of Sakhalin’s 164 Nanai. 1- Mostly repatriated to Japan after World War II and the termination of Japanese administration of southern Sakhalin. 2 - As of January 1, 2010; aside from these seven districts of traditional indigenous settlement, small numbers of indigenous residents can be found in the other districts of Sakhalin. International Exhibition-Fair "Treasures of the North"